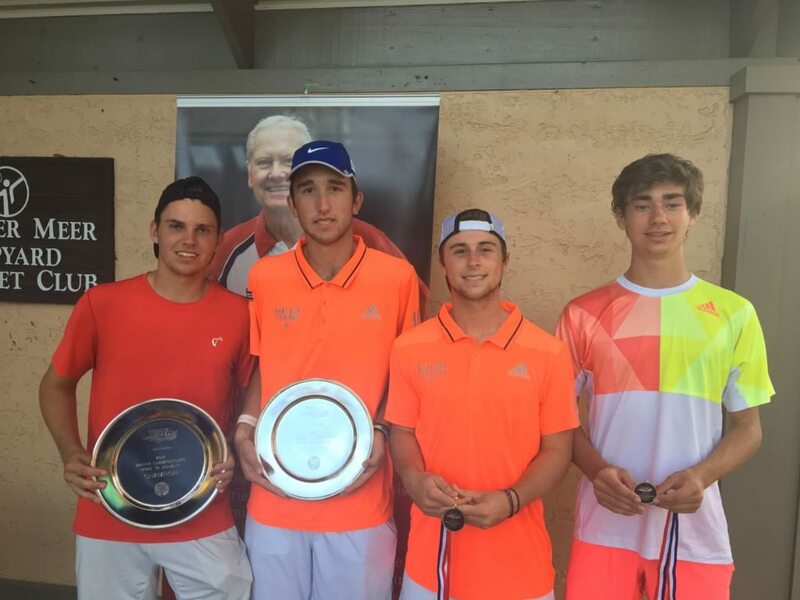 Players from Smith Stearns Tennis Academy were able to take home 5 of 8 championships in the 16& under and 18& under age divisions. 2017 got off to a hot start for several Smith Stearns students as they competed in the Southern Section’s first Level 1 tournament of the year–taking home five of the eight championships awarded in the top two age divisions. The girls and boys 16& under tournaments were hosted at the beautiful new Rome Tennis Center at Berry College in Rome, Georgia. Entering the tournament Smith Stearns players accounted for four seeds in the girls singles and eight of the seeds on the boys side including two of the top three spots. The girls would hold true to their seedings with all four making the 3rd round. As for the boys singles event, Smith Stearns pupils placed nine players in the 32 remaining out of the field of 128. Eventually top seeded Phillip Jordan and third seed Andres Martin, friends and classmates at Smith Stearns, would square off in the semi-finals for a place in the championship. The Spartanburg, SC native Jordan would come thru the encounter and then take home the championship defeating Max Giddens of Alabama 6-1, 1-6, 6-3 in the finals. Other classmates of Jordan’s at Smith Stearns would go on to take singles awards with Andres Martin taking fourth, Georgi Mavrodiev getting fifth, Kylie Collins sixth, JJ Tracy tenth, and John Dransfeld and Mary Grace Armistead who went on to win the backdraw. On the doubles court students found immense success as well taking home both the girls and boys doubles championships. 14-year old Kylie Collins and her partner Anne Marie Hiser of Georgia defeated the top seeded pair of Cubitt and Mills in the finals. The boys doubles crown was taken by junior Andres Martin and his partner Tres Gonzalez of Atlanta when they defeated third seeded Chopra and Raab. Both boys doubles finalists got there by posting semi-final wins over teams featuring Smith Stearns players. Putting singles champion Philip Jordan and his partner against good friend and classmate Andrew Branicki and his partner. Branicki and his partner would win the match taking home the third place trophy. Smith Stearns Tennis Academy’s very own Hilton Head Island laid host to the girls and boys 18& under events. Playing on Har-Tru clay senior and Duke commit Sean Sculley made his presence well known taking home both the singles and doubles titles. 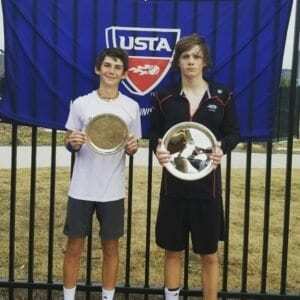 Entering the singles tournament as a seventeen seed due to a tournament schedule focusing on the national and international levels Sculley would cruise to the final without dropping a set before digging out a 3 set win in the finals over UPenn commit Aleks Huryn of Georgia. 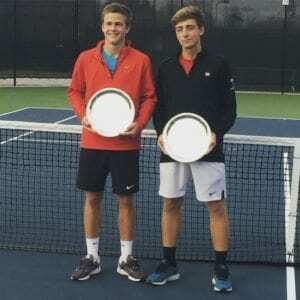 Sculley would later partner with Huryn as the fourth seeded doubles team and found themselves in the finals against the top seeded team of Sculley’s longtime Smith Stearns classmate Paul Hendrix and his partner Jared Pratt. 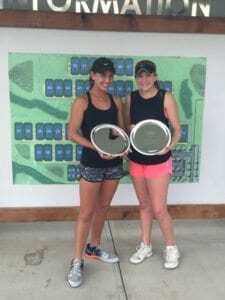 Sculley and Huryn would win the encounter seeing Sculley raise both the singles and doubles trophies.